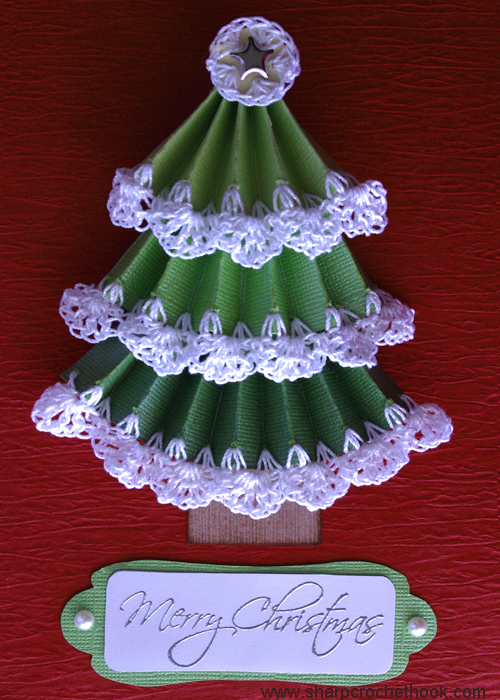 I made this Christmas Tree using the Sharp Crochet Hook to crochet through the paper, without prepoking holes. The "Merry Christmas" tag is embossed. The star background is a 1" yellow circle that has been crocheted around 3 times in 5 holes. The star is just a metal brad. I entered this card in a Christmas Card design contest and I really want to win! I need everyone to vote for it. If I win, I will give away some Sharp Crochet Hooks and Crochet Edging Handbooks! 1. UPDATE: My card has made it to the final round of this contest. Please go HERE and vote. Vote every 24 hours until Sept. 26th. I really hope I win! Thank you so so much! 2. Leave a comment on this blog post each time you vote. 3. I will use random.org to choose a comment. Whoever wrote the comment will win a Sharp Crochet Hook and Crochet Edging Handbook! You will need to check this blog 10/3/12 because that is when the winner will be announced. 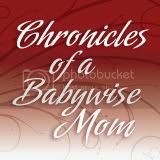 I'll also send out a facebook status update to let you know, so if you aren't following me on facebook, go here. If you want a greater chance of winning a Sharp Crochet Hook and Crochet Edging Handbook, vote every day until Sept. 26th and leave me a comment after you vote every day! 5. If I place in the contest, I'll give away more hooks and books! Plus, at the end of the contest, if I have gotten at least 50 comments, I will post a free Sharp Crochet Hook pattern! Thanks everyone. I really want to win. If you want a Sharp Crochet Hook and Crochet Edging Handbook, please order one here. It is the best tool for crocheting through fabric. Voted!! I hope you win, I'm going to try make my friends vote for you card. Voted. Would love to win the patten for the Christmas tree. I voted for your card. I voted. Love the card! Love your card! Good Luck I have voted for your beautiful card! Hope we can get the pattern! Beautiful card! I voted & good luck! I voted for you today and yesterday. I'll keep voting! Good luck! I did my part and voted. Good Luck! I love your card! I love adding little personalized items to baby shower gifts, etc. Cards embellished with crochet would make them even better. I voted for you and hope you win! Now I was the vote #66 =)) good luck! I tried to vote today and there isn't a box to click to vote, I did yesterday with no problem :( It was on the #66 and no box to click. Just voted today. I really hope you win, the other entries pale in comparison to your creativity. I voted again today for your card. Voted again today! Good Luck! I voted for your card again. Voted on Friday (Sept. 21) and today. Hope you win! Voted Again! =) good luck! voted today - good luck!